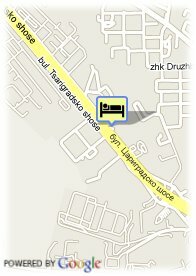 149 Tsarigradsko Shosse blvd., 1784 Sofia, Bulgaria. 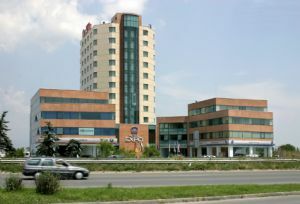 Best Western Hotel Expo is located only a few minutes away from Sofia Airport and not far from the Sofia city center. The hotel is situated just next to the Inter Expo & Congress Center. We provide a wide range of facilities and services, ensuring guests an enjoyable and comfortable stay in Bulgaria. The hotel boasts comfortable and well furnished rooms that are equipped with modern amenities. Here at Best Western Hotel Expo you can choose from 90 luxury guest rooms and 9 luxury suites. Best Western Hotel Expo offers the perfect venue for organizing your business meeting and corporate event. To best serve your needs you can choose from the five modern meeting and conference halls. Our experienced staff will help you make your event smooth and successful. Near exhibion centre, Near trainstation, Park, Centre, Museum Area, Near highway, Near the historic centre, Near airport, Near shopping centre. Forego Restaurant instantly fascinates you with its remoteness from the crowded city center. The stylish, contemporary interior combined with an excellent selection of Local and Modern European dishes, cocktails and wines to satisfy every taste and appetite. The newly opened Garden Forego is suitable not only for a lunch or a dinner with your business associates, but also for weddings and all types of celebrations. The atmosphere in Forego is cozy and sophisticated at the same time. Best Western Expo Hotel Sofia is located only 4 minutes from Sofia's International Airport, the city centre, and a step away from the International Exhibition Centre. In the immediate vicinity of Best Western Hotel Expo you can find the brand new building of Benchmark Group- Benchmark Business Center, the Metro Cash and Carry Store, and not so far away you can enjoy different water sports in Lake Kazichene, and spend the day playing golf in Ihtiman Golf Course.